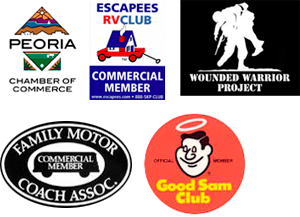 Fix My RV AZ | RV Repair Phoenix | Is your RV ready for summer? 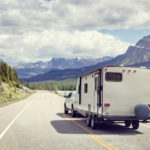 As spring starts, it is a perfect time to get your RV ready for the upcoming year. If you find an issue during your inspection, RV repair Phoenix Fix-My-RV can help you get back on the road in no time. Jeff Averyt and his team highly recommend inspecting your RV or camper prior to starting your adventures. This, however, is especially true if your vehicle has been dormant during the winter months. As you walk around your RV or camper, be sure to take a look at the tires, chassis and body for any visual signs of potential issues. It is also a great idea to be sure everything is functioning inside the RV and camper prior to departing on a trip. If you have any issues, RV repair Phoenix company Jeff Averyt and his staff will help get you back on the road. From small repairs to yearly service, we work to be sure you have the peace of mind that everything is complete and done the right way. Our staff features on providing quality service, quality parts and quality repairs while being sure that we have a minimal disruption on your life. Jeff and the team will go over each little detail prior to the repair, during the repair as well as after the work has been completed. If you have any questions or find any issues your RV appliances, systems, or products, or if you would like to schedule an appointment for RV Repair Phoenix, contact the professionals at Fix My RV AZ for more information.